These tubes serve as bridges between the colony and the wood. These tubes are about the size of a pencil and cylindrical in shape. They are constructed of wood, debris, soil, bodily waste, and saliva. This goes beyond what is natural. Mud on trees, wood fences, plants, and even dead grass can be a serious indication that you have a termite problem on your property. This includes eaves, wooden fences, and wooden trim inside your home. Unfortunately, by the time you notice the damage to wood floors, walls, or wood trim inside your home; the scale of the infestation is typically significant. One way you can tell if there is damage to the wood before you see damage on the surface is if the wood sounds hollow when tapped (an indication that termites are feasting on your floors, walls, etc. from within and working their way out). Mud tubes on the outside can be a sign of damage. Mud tubes on the inside mean it is time to bring in a team of Arizona termite control professionals to get to work and control the situation. If you have wood inside your home that sounds hollow and test the wood with a pin knife, you are likely to find tunnels running along the grain of the wood once you dig beneath surface (something that is, quite honestly, best left to experts to do). These holes are typically the size of the holes thumb tacks would leave behind, and they provide an entry point for the termites into your home. If you suspect termites are making a meal of your home, call your local Arizona termite control experts to help get this problem under control. Remember, termites are social creatures. 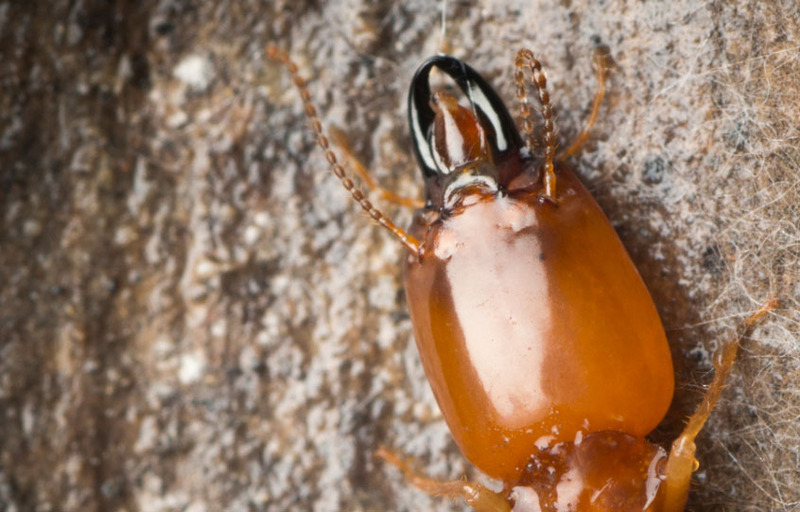 If you have one termite, you probably have an entire colony on your hands. Count on Arizona Termite Specialist for termite control solutions; we provide termite extermination, inspection, and protection services throughout Phoenix, Scottsdale, Cave Creek, Gilbert, Mesa, and Peoria.